Southermost Ghost Tour | These haunted historical accounts will lead you through a journey of the past. Join Southernmost Ghosts, an hour walking ghost tour of Key West’s historic Old Town! Guests are taken through the shadowed past of the city, led by professional guides and storytellers. Our nightly tours feature nine to thirteen of Key West’s most haunted locations, and the true, terrifying tales behind each site. Despite the island’s famous warmth, guests might feel a chill as they stand before both real horror and genuine history. Join us on our nightly journeys into Key West’s vibrant Old Town neighborhood. All tours, standard and extended, start at 8pm. The one hour walking tour with Southernmost Ghosts features nine of the most haunted places in Key West. Extended tours carry on to four more specially chosen locations. The island city may only be a few miles long, but there is no shortage of paranormal activity lurking behind the colorful walls of Duval Street. Each of our guides is trained extensively before they begin escorting guests through the haunted island city. Alongside our normal ghost walk, we offer customized group tours for a more personal and VIP experience. The Southermost Ghost Tour Difference: What Sets Us Apart from the Rest? Southernmost Ghosts’ walking ghost tour focuses on the terrifying truth. Each tour stop has been intensively researched, and we provide real accounts of the historical events surrounding the hauntings associated with each location. Our material is constantly updated to guarantee a completely accurate experience. Join us on our nightly journeys into Key West’s vibrant Old Town neighborhood. Our tours start at 8:00 PM. On your walking tour with Southernmost Ghosts, you’ll experience the most haunted places in Key West. Though this island city is only a few miles long, there is no shortage of paranormal activity lurking behind the colorful walls of Duval Street. All Ghost Tours meet outside of the Historic Florida Keys Foundation, located on 510 Greene Street, Key West, FL, 33040. The standard tour is 1.1 miles in distance and begins at 8pm. The standard tour includes nine different locations. The extended tour also begins at 8pm and includes an extra 0.7 and four additional locations, bringing the tour to 1.8 miles long. 60 minute tours at 8pm. All guests are requested to arrive at least 10-15 minutes early to allow plenty of time for parking/drop-off/walking to the location. Tours are held rain or shine! Key West doesn’t stop for a little bad weather, and neither do we. Admission for the Southernmost Ghosts tour must be purchased in advance on this site. You do NOT need to print your tickets or worry about mobile passes! After completing your tour reservation online, you’ll automatically be added to the admission list for your tour time and date. Our guides will have this information digitally! Simply bring your ID for us to verify your reservation before the tour begins. Hard Rock Cafe is known worldwide, but this infamous haunt has earned a reputation all its own. Behind the long experienced paranormality within Key West’s Hard Rock lies a mysterious connection with The Curry Mansion. Two worlds, modern and bygone, are linked by a haunted presence. Only guests of Southernmost Ghosts will learn the true story! Key West is full of watering holes, but this saloon is one of the few where you can drink among the dead. Built over a former morgue and execution site, Captain Tony’s Saloon has had a long and tortured history through the many names the bar has held, the lives that met their end at its bar, and the dead still trapped within its walls. Drink up! One of the most modern haunted places on the island, the Ocean Key Resort offers luxurious hospitality for guests both living and dead. Book your room carefully, though—or else you may end up with a rather rude ghostly neighbor who refuses to check out. 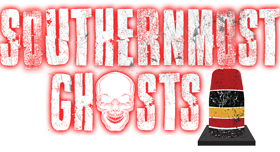 Sign up for the Southernmost Ghosts newsletter for updates on tours, discounts, and other scares. © 2019 Copyright Southernmost Ghosts. All rights reserved.